This isn’t launching a product. This is kicking it off the loading dock. Under-spend: Last week a business executive confided— in a whispered voice—that they seldom spent more than $10k on their product launches… even after spending hundreds of thousands developing the product. This isn’t launching a product. This is kicking it off the loading dock and hoping someone finds it. 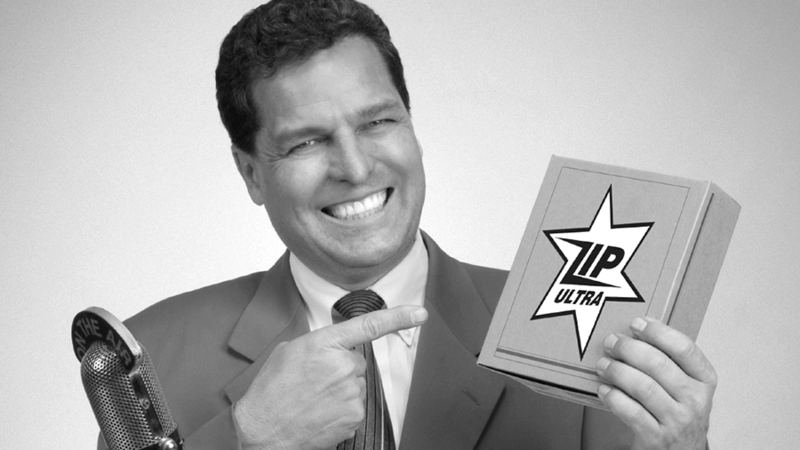 Miss-spend: Should you spend $100k on a trade show… or $10k a pop on trade journal ads? Would it be wiser to build a better microsite… or fund an email campaign? There are at least 9 traditional and 9 online media to consider, and the sad reality is most B2B marketers are guessing at the right mix. Over-spend: I find many B2B marketers under-spend in reaching prospects… but over-spend on their ad agencies. These marketers don’t provide a clearly targeted market and message… so their agencies spend far too much billable time guessing and performing unneeded work. Most of your launch budget goes directly into one or more of the above media, so picking the wrong media—no matter how artfully executed—is an expensive mistake. Let’s examine 2 AIM innovations for selecting the right media with confidence: 1) the Media Strategy Matrix, and 2) the 2- Question Launch Survey. Quad 1: You can easily pursue a handful of prospects and build on existing relationships. 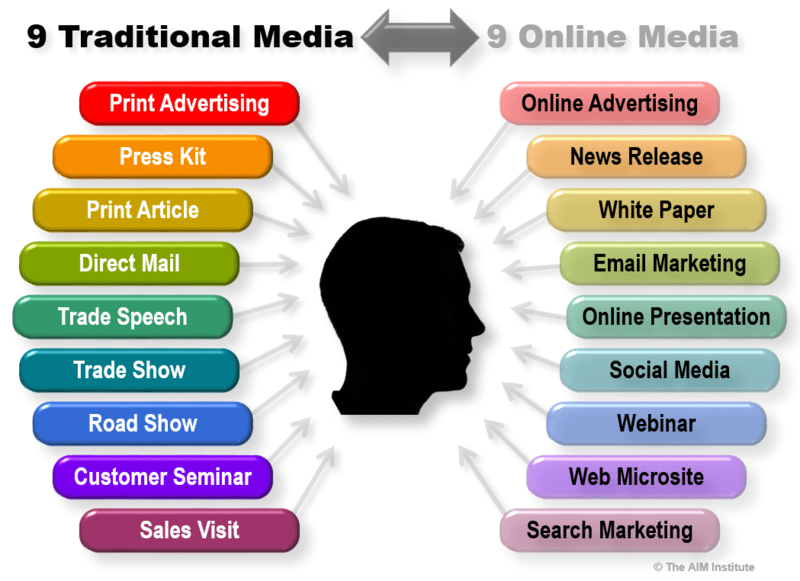 Ideal media include the Sales Visit (so invest in sales training & tools) and personalized Web Microsites. Quad 2: Here you need to build credibility with a few prospects. Consider media such as Customer Seminars and thoughtful White Papers. Quad 3: Now there are too many prospects to reach with sales reps… so you must be findable. Use News Releases & Search Marketing to drive prospects to your website. Quad 4: In this case you are a respected supplier to many customers. Use your database to build a “community of users” via Email Marketing… and use other online methods such as Webinars. AIM’s 2-Question Launch Survey is based on a simple concept: Before you spend a bundle on launch media, shouldn’t you learn which media your target prospects are already using? 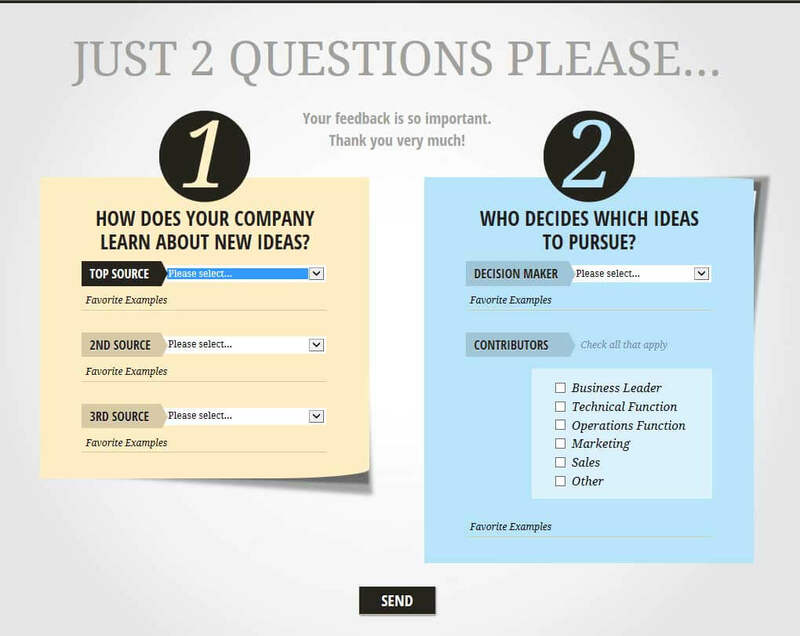 You can ask prospects in person, by email, or via the web (see example from our LaunchStar® software)… but the questions are the same: 1) How does your company learn about new ideas? 2) Who decides which ideas to pursue? Responses to Question #1 help you plan which media to use. And answers to Question #2 allow you to clearly focus your launch on a specific job function. B2B marketers must consider a reality that consumer-goods marketers don’t: More than one job function—marketing, technical, operations, etc.—can be a decision maker or influencer. You don’t know what you want… but you’ll know it when you see it. Ever see this? Your ad agency brings you its “creative” work… you send them back to the drawing board… they return with more ideas… and so on? You don’t know what you want… but you’ll know it when you see it, right? Much of their experimenting—on your dime—stems from a fuzzy view of 1) the precise target audience, and 2) the unwaveringly focused message prospects must receive. Before your ad agency begins its job, you must finish yours. Your team—not the agency—uncovered customers’ needs, determined the next-best competing alternatives, and developed a product with differentiated value. You need to deliver to your agency a prospect profile and a message brief… or they’ll guess, wasting your money and missing your objectives. Prospect Profile: This document defines your target prospect at 4 levels: market segment, point in the value chain, job function, and desired outcomes. You can build it with precision using what you learned earlier in your product development work and through the 2-Question Launch Survey. Message Brief: This document provides your ad agency, sales force, and others with the consistent, laser-focused message targets will receive. Depending on the quality of your front-end VOC work, you can data-mine your interviews for the exact hot-button language prospects use… boosting keyword search success. If you’d like to learn more, please download our newly revised, 26-page e-book, 12 New Rules of B2B Product Launch. Also, we have recently completed a much more powerful, online version of our LaunchStar® software… now available on a subscription basis. This software contains everything a B2B product launch team needs to ignite its next launch… not “release” it. For information, please visit launchstar.theaiminstitute.com. Article excerpted from B2B Organic Growth Strategies Newsletter July-August 2012.